This weekend in Vienna, with far less attention, negotiators from those same countries neared a deal that many environmentalists have called the most significant action this year to reduce global warming. While the Paris agreement aims to reduce the use of coal and oil, which produce the carbon dioxide emissions that are the chief cause of global warming, negotiators in Vienna pushed ahead on a deal to ban the use of hydrofluorocarbons, chemicals used in air-conditioners and refrigerators. Although they contribute only a small percentage of the world’s greenhouse gases, these chemicals, known as HFCs, can trap heat in the atmosphere at levels a thousand times higher than carbon dioxide can, according to published scientific studies. Negotiations to ban HFCs have dragged on for seven years. But the draft language emerging from the Vienna talks could lead to a final deal ready to be signed during an October conference in Kigali, Rwanda. The deal would be an amendment to the Montreal Protocol, the landmark 1989 environmental treaty designed to close the hole in the ozone layer by banning ozone-depleting coolants called chlorofluorocarbons, or CFCs. In response, chemical companies developed HFCs, which do not harm the ozone. But the substitute had the wholly unexpected side effect of increasing heat trapped in the atmosphere, which worsened climate change. The Montreal treaty allows nations to amend it to ban substitute chemicals that have negative environmental effects even if they do not harm the ozone. And American chemical companies such as Dow, DuPont and Honeywell have already begun to patent climate-friendly HFC substitutes. Scientists estimate that an increase in average global temperatures of three degrees Fahrenheit could tip the planet into a dangerous future of rising sea levels, devastating droughts, extreme storms and shortages of food and water. Studies show that banning HFCs worldwide could prevent an increase of nearly one degree over the next century. 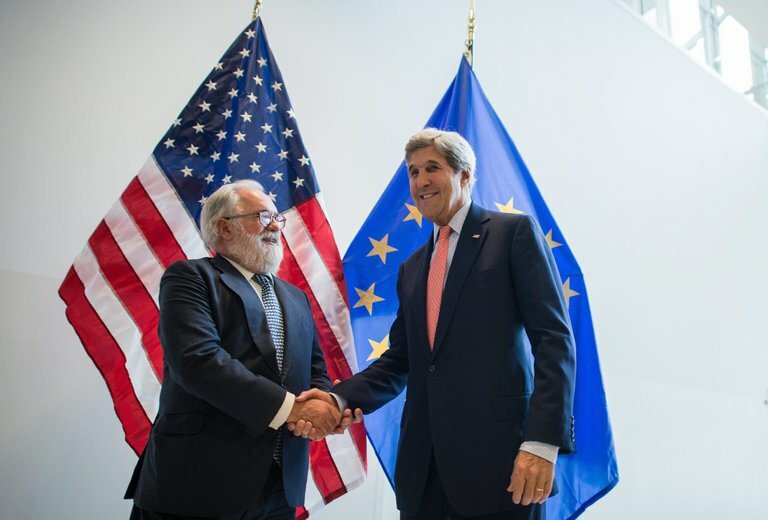 “Amending the Montreal Protocol to phase down HFCs is one of the single most important unitary steps that we could possibly take at this moment to stave off the worst impacts of climate change and to protect the future for people in every single corner of the globe,” Secretary of State John Kerry said in a speech to negotiators in Vienna on Friday. As diplomats worked on drafting the amendment, scientists at NASA announced this past week that 2016 was on track to be the hottest year on record, with 2015 and 2014 ranking second and third. An amendment to the Montreal Protocol would have the force of law in almost every country, which could give it more potency than the Paris Agreement, a legal hybrid that lacks the binding force of a treaty. While some portions of the Paris Agreement are legally binding, the specific actions taken by countries to reduce their emissions are voluntary. And there are already questions about whether some countries will follow through on their Paris pledges. In Brazil, the impeachment proceedings against President Dilma Rousseff have thrown the fate of her Paris promise into question. Rodrigo Duterte, the new president of the Philippines, said this month that he would not honor the Paris agreement. And in the United States, Donald J. Trump, the Republican presidential nominee, has vowed to “cancel” the Paris accord. Most countries support some form of a deal to phase out HFCs, but some with developing economies, led by India, are pushing for a slow timeline. While the United States wants a deal that would phase out production of the chemicals in five years, Indian diplomats are pushing for 15. They say the costs of new substitute coolants will disproportionately affect the residents of developing countries in warm climates, where the use of air conditioning is expected to soar in coming decades. President Obama, who has sought to make climate change prevention a cornerstone of his legacy, has spoken at length with Prime Minister Narendra Modi of India about reaching a deal, and Mr. Kerry flew to Vienna on Friday to personally engage in the negotiations. In his speech on Friday, he pledged that a final deal would include assistance from rich countries to help poorer ones deal with the cost of transitioning to the new chemicals, although he did not specify a dollar amount. Final details of timing and financial aid are expected to be established at the October meeting in Kigali. Many large American chemical companies are pushing hard for the amendment. Final passage of the deal could create a new market for their coolants in refrigerators and air-conditioners around the world. Honeywell, the New Jersey-based multinational company that produces everything from aerospace systems to home thermostats, has already invested $900 million in developing and patenting an HFC substitute, now being made in two recently built plants in Baton Rouge, La. 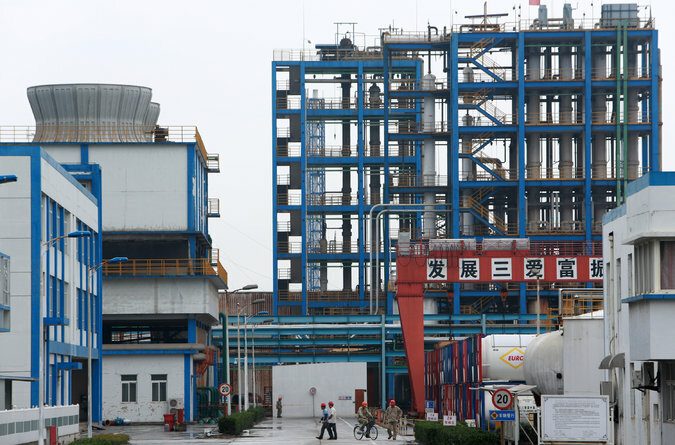 A third plant in Louisiana is planned for next year, in anticipation of a booming demand for the products after passage of the Montreal Protocol amendment. “We began developing replacements for HFCs years ago,” said Ken Gayer, a vice president with Honeywell. Mr. Gayer said the company was already planning to make the new cooling products in India and China. The deal’s support from major businesses has blunted much of the criticism that many Republicans in the United States typically bring to debates about efforts to control global warming. Obama administration officials have pointed out that the Montreal Protocol itself, which was largely negotiated by President Ronald Reagan, has long enjoyed bipartisan support. Those circumstances, and the relatively low profile of the Vienna talks, appear to have kept the HFC amendment out of the political fray that often surrounds climate change policy. Gina McCarthy, the Environmental Protection Agency administrator, who has led the United States delegation in Vienna, noted the change.